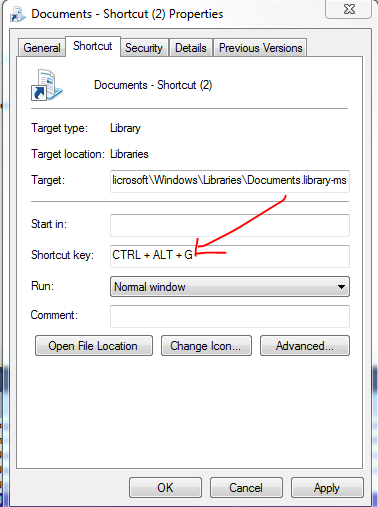 Many times I need to switch between windows, but instead of opening the folder manually, I was looking for a short-key to open the open window again. Is there a short-key for that? If yes, what is it? That will depend on the environment you're working on, right? In the most popular linux desktops you can configure it easily in the keyboard configuration. Particularly in Gnome (3 and higher) you can go to system-settings > keyboard > shortcuts and set up a custom shortcut with the entry "nautilus" on it, and the combination of your choice. I use [Super]+E (widows key + e) which, by the way, is the shortcut that open the file explorer on Windows (system in which that key combination works out of the box since XP to 8.1). In Linux, it will depend but you can configure it on the keyboard setting. If you use gnome, then the command to launch the file explorer will be "nautilus"; in Kde "dolphin", etc. You can do this with the mouse. Right click on the direcotry and select Open in new window. However, if you want a short cut to any specific directory, then I don't think you can but there is possibly a work around to this (depending on your situation it may or may not be feasible). Now, I just type CTRL+ALT+G and that directory loads up.